As a business person I'm always trying to find easy ways for people to get me into their address books. Over the years many methods have come and gone out of fashion. For some time attaching your vCard to every outgoing email seemed to be the thing to do, but it became annoying to have the same attachment over and over. That eventually brought spam filters to begin filtering out messages with vCards. QR Codes are trying hard to become a mainstream method of getting your info scanned in, but to many people, the QR code looks like nothing more than an ink-blot test psychiatrist's use. This means that we're left with the manual task of copy and paste. Although this is a time consuming method, it is a process people understand. I'm happy to report that I have found a service that can offer a simple solution that everyone's grandmother will understand and be able to use, and its name is fun to say, "ContactMonkey." Best of all? For individual users, it's free! What makes this product different is they offer you a simple two liner that you insert in your email signature which includes your unique ContactMonkey URL. The email recipient clicks on the URL and is presented with a simple, one-click method to add you to their address book. Why the CrackBerry Nation should jump on this is because they really went out of their way to make this a BlackBerry-focused product. The first cool thing BlackBerry owners will love: BBM support. 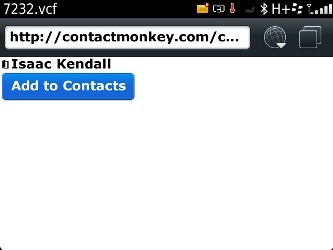 When completing your contact profile, in the IM section they have included a field for your BlackBerry PIN. 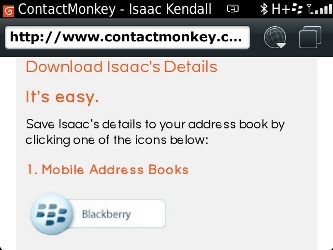 The next exciting piece of BlackBerry love from ContactMonkey is how BlackBerry users who click on your ContactMonkey URL will be given a simple, one-click "Add to address book" option, which is not as easy on iOS devices. If an email recipient clicks on your signature from their desktop computer, they are presented with your contact card and a laundry list of options to add you to their address book. 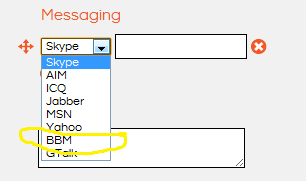 When people download your contact details they are given a 'subscribe' option your contact card. Whenever you edit your contact details your subscribers will be notified of your new details. After you sign up and complete your profile you are given a control panel page showing all the details you have entered as well as a sample signature tag and a unique QR Code that directs smartphone users to your contact download page. 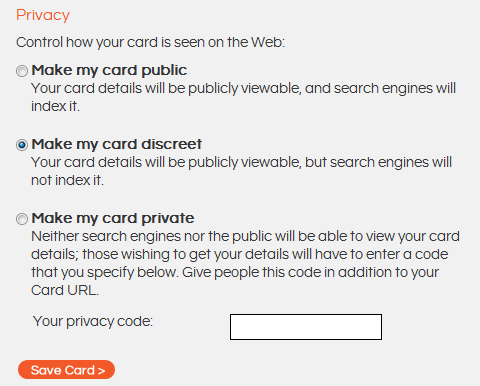 You are also provided with stats on how many people have viewed or downloaded your contact card. For the enterprise user they offer a bundle of more features. For organizations that use MS Active Directory, ContactMonkey can provide a hook to their system automatically creating a contact card when a new user is added to AD. When changes are made to an AD contact their ContactMonkey card is updated as well. For only $3/month per user, ContactMonkey for enterprise is quite intriguing. As a business person I want to be in as many address books as possible; people rarely delete address book entries. So once I'm in chances are I'll never be out, and even if I don't do business with them today they hopefully will stumble across my contact details in the future. One last important thing to mention is privacy. 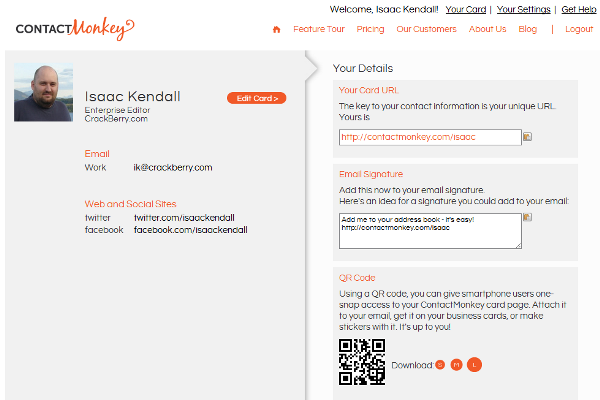 ContactMonkey gives you ultimate control on how your information is shared. From wide open (allowing search engines to index) to completely private, you get to control how private or open your info is. I started using this product last week and I can most certainly give ContactMonkey two big thumbs up.